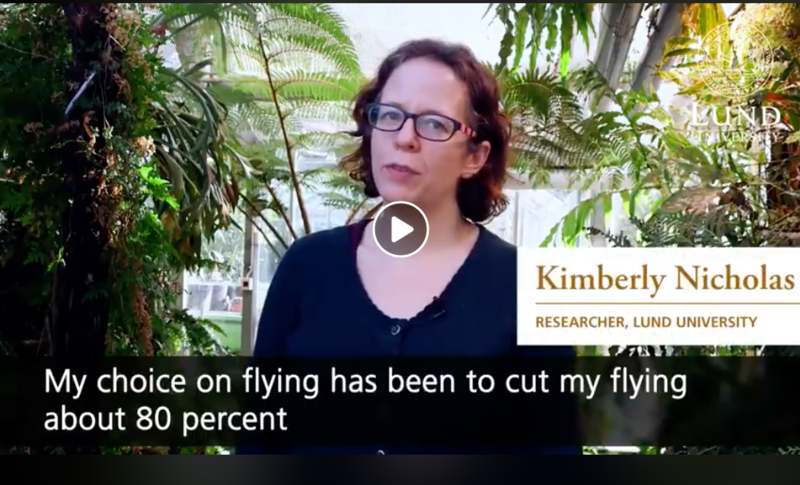 I am thrilled that our new research project to study the growing movement in Sweden to reduce flying and the changing cultural and social norms it represents was supported by the Swedish Research Council Formas! We are currently recruiting (through 8 April 2019) for a new PhD student to focus on this project (to be co-supervised by Johannes Stripple from Political Science). Please learn more about the project below, then use this link to apply! Feel free to contact me with questions. Please note, both English and Swedish fluency are required for this position, as the research involves analysis of Swedish media and text. Thanks. ​Continuation of business as usual trends for aviation are incompatible with meeting national and international commitments to avoid dangerous climate change. Thus, there is an urgent need to better understand options to reduce greenhouse gas emissions from aviation, including through reducing demand. There is a recent and growing cultural shift in Sweden to avoid flying, by leaders from diverse backgrounds including journalists, politicians, celebrities, and parents, as well as a national flight tax begun in 2018. This research will seize this important moment to document, analyze and evaluate the evolution of the conversations about aviation, climate, and the good life happening in traditional and social media, and their implications for policy and daily life. We will show how these narratives evolved over time, culminating in the ultimately successful adoption of the national flight tax; conduct interviews to understand the arguments, motivations and strategies of key change agents who are leading a rapidly growing trend to voluntarily avoid flying; and connect these political and personal narratives to explore their potential synergies and tradeoffs. 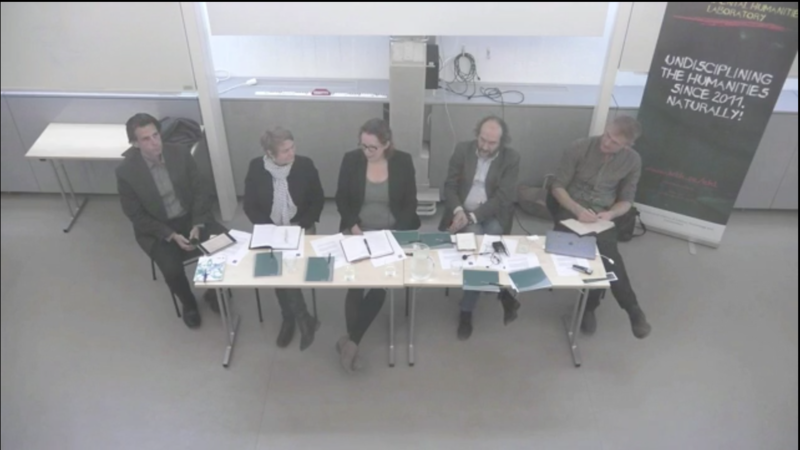 Understanding the reasons behind the successful rise of staying on the ground up the social and political agenda in Sweden will both illuminate the often overlooked role of cultural change in meeting climate goals, and make predictions about the potential for replicating these impacts elsewhere. ​Avoiding dangerous climate change will require nearly eliminating climate pollution from greenhouse gas emissions in the next few decades. Sweden has enacted the Climate Law, which promises to emit no more greenhouse gases than are removed from the atmosphere by 2045. Currently, although aviation is a globally small source of climate pollution, for most individuals it is the single most carbon-intensive activity (we have shown that one roundtrip flight can cause as much climate pollution as two years of eating meat, or one year of driving a car) (Wynes & Nicholas, 2017). 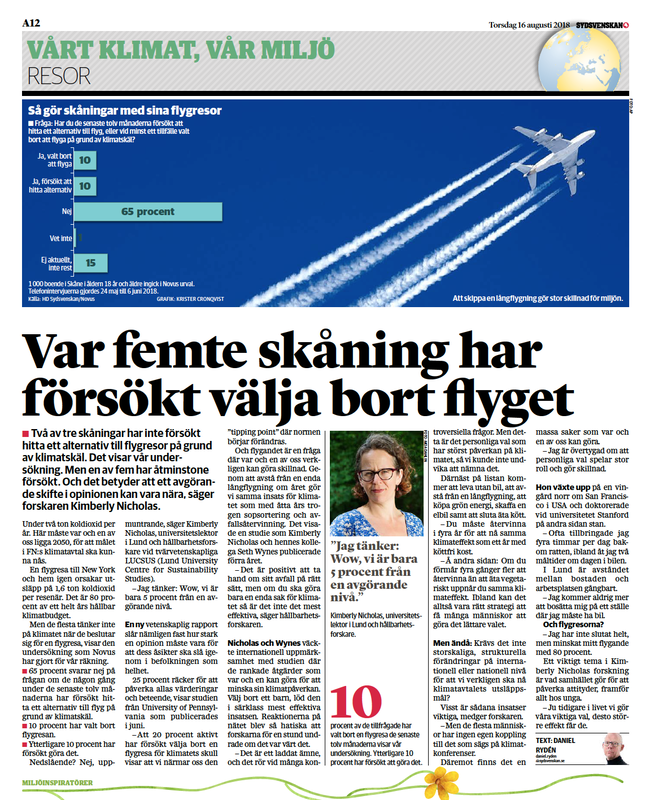 Therefore, reducing flying has become an important focus for researchers calling for emissions reductions to meet Swedish and international climate targets, and as a potential catalyst for broader social and lifestyle changes compatible with a safe climate. 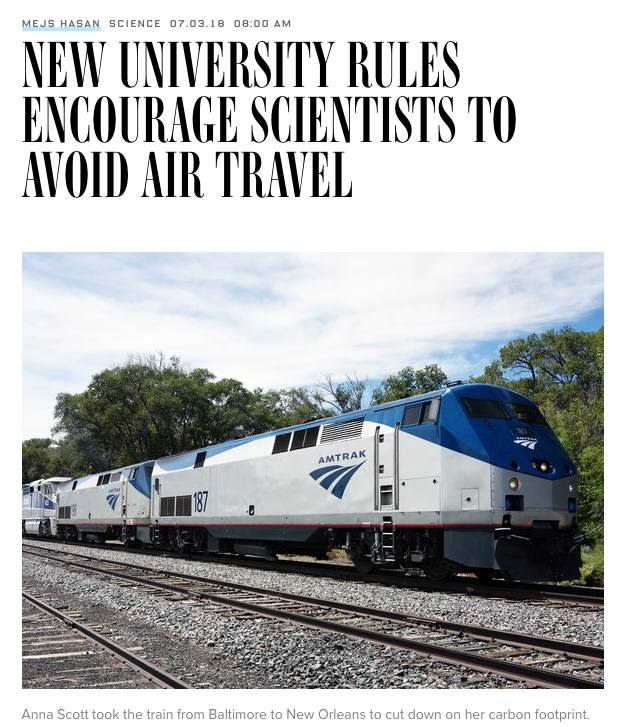 So far, the research focus has primarily been on analyzing the flying behavior of experts, reasoning that they are the ones who best know the risks of climate change and should be most likely to be willing to change their behavior as a result. However, there has been very little attention paid to the flying behavior of ordinary citizens, particularly in their personal lives (for leisure rather than work-related travel), and what might motivate change in either individual behavior or broader social norms that currently support unsustainable flying behavior. Sweden in 2018 presents an important and novel case of a still developing but potentially transformative political and cultural shift beginning to form around the recognition of the threat that frequent private aviation poses to the climate. This research will seize this important moment to document, analyze and evaluate the evolution of the conversations about aviation, climate, and the good life happening in traditional and social media as they have unfolded since 2015 and as they continue to evolve to 2020, and their implications for policy and daily life. 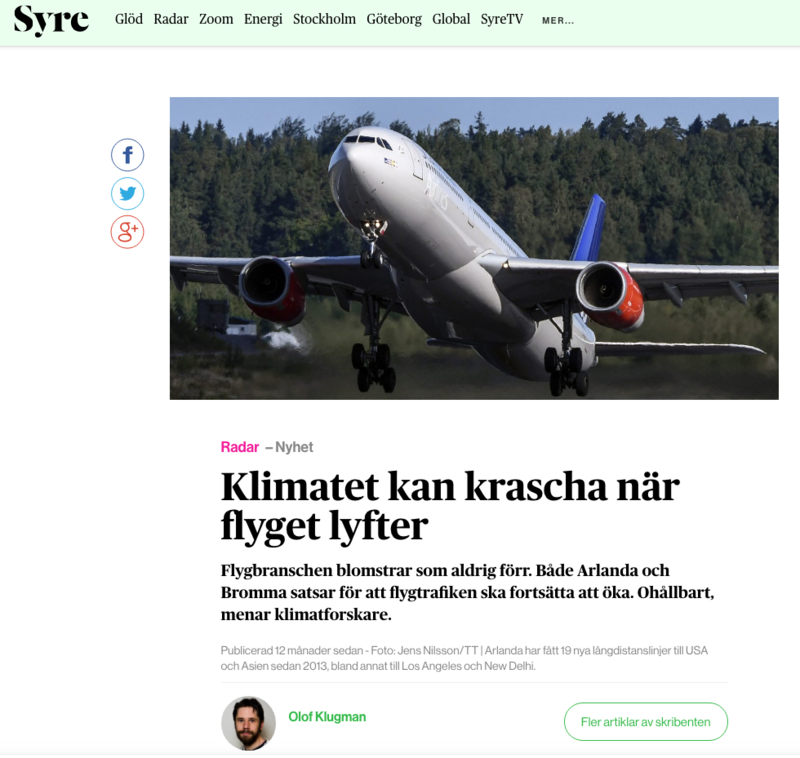 First, we will analyze articles from 2015-2020 in major Swedish newspapers, and posts on social media, to identify how aviation is represented - for example, as glamorous, economically important, and/or a disaster for the climate - and what arguments are used to support these claims. We will show how these narratives evolved over time, culminating in the ultimately successful adoption of the national flight tax. Second, we will focus on Swedish change agents who have publicly declared their commitment to avoid flying in their personal lives, with whom we will conduct interviews to understand their goals, motivations and strategies. Third, we will put the political and personal narratives in conversation with each other, to examine how these may reinforce or interfere with each other. 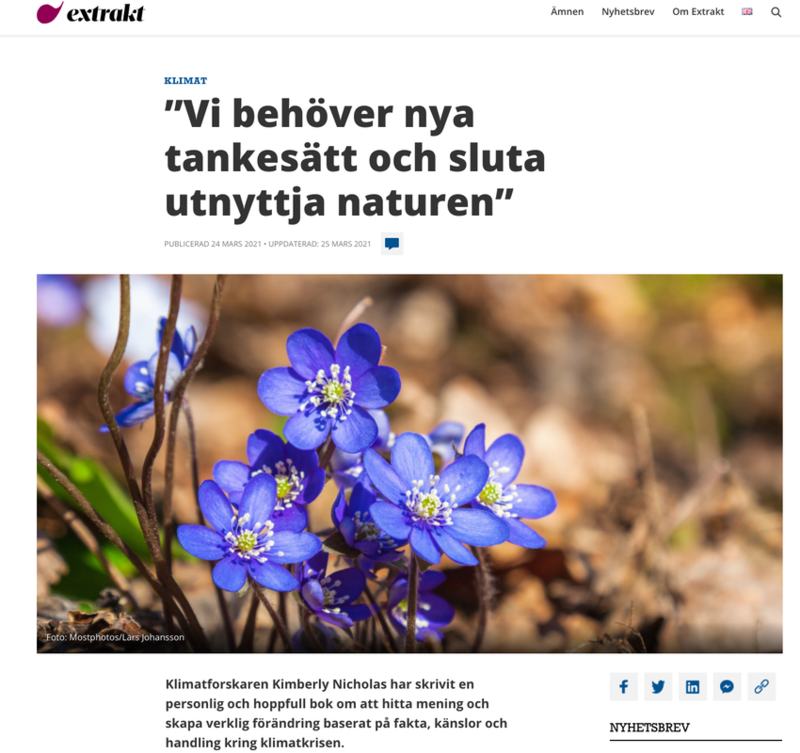 From this we will draw broader implications about the changing role of aviation in Swedish visions of the good life under climate change, and how this seed of a lower-carbon lifestyle might grow and thrive elsewhere. Slide deck assembling data on academic flying from research reports and scientific publications. Free for reuse. 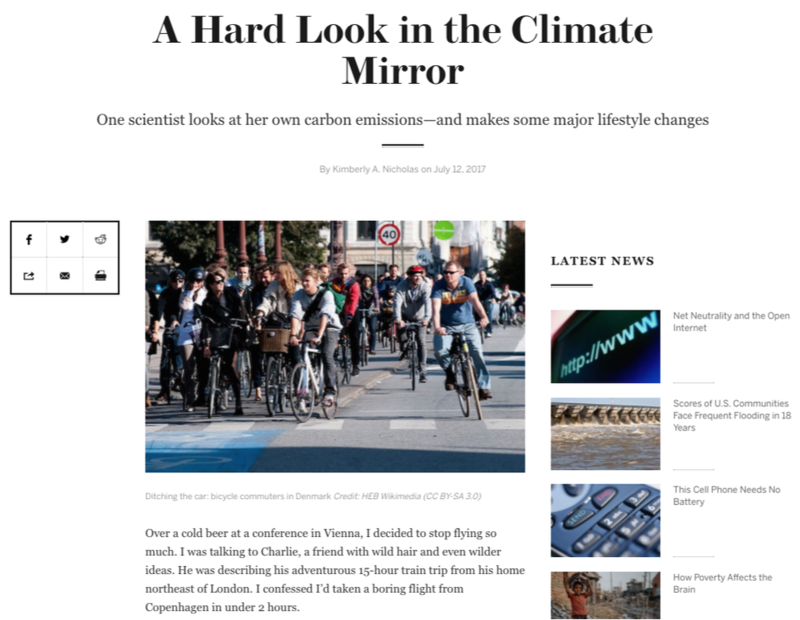 My own take on the 4 choices we identified that make the biggest difference for the climate: living car free, eating a plant-based diet, avoiding flying, and planning smaller families. 2 minute video from Lund University. 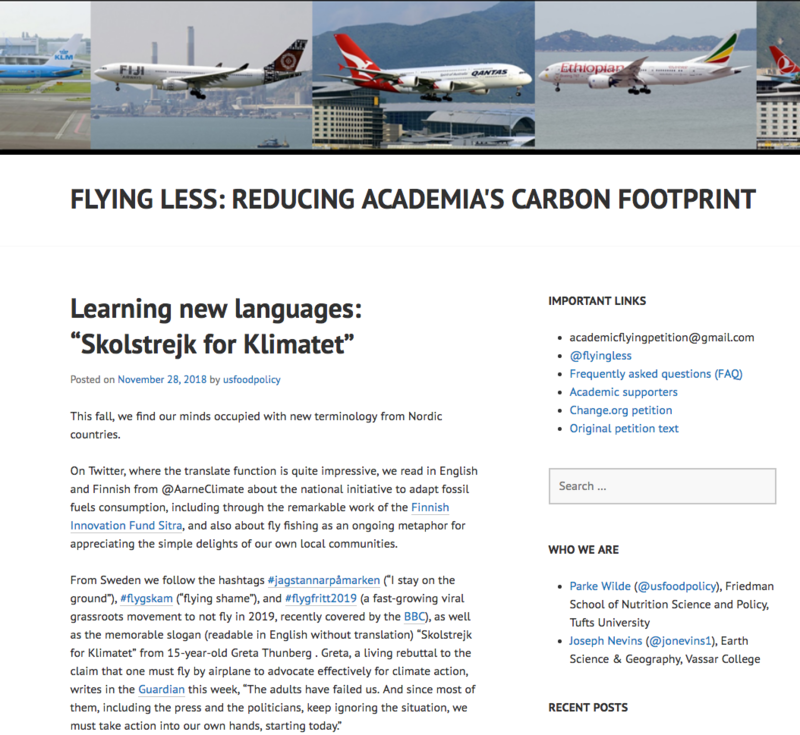 Roundup highlighting initiatives in Scandinavia on the Flying Less blog.